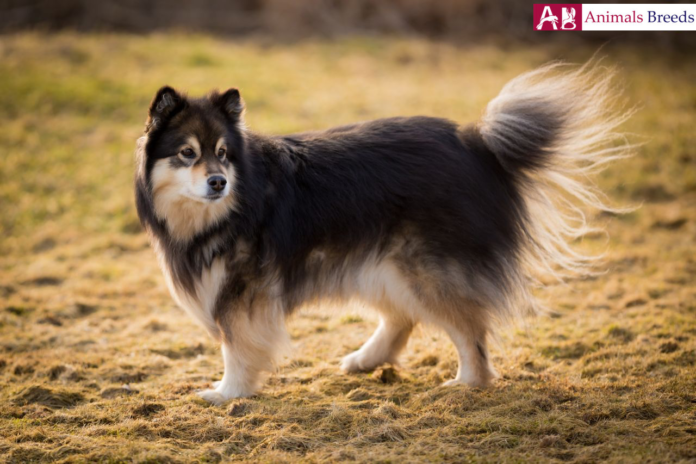 Swedish Lapphund is a multitalented dog and since it has been used as hunting dog, guard dog, watch dog and herd dog. The dog is rare outside its native country and even in its own country, there are only few puppies are registered every year. This breed is considered as oldest of all Swedish breeds. This breed is also the national dog of Sweden. The dog loves to work along with humans and is a people oriented dog. Nothing can make the dog happier when it has a job to do. They are also highly trainable dog. They are jack of all trades; there’s nothing that this dog can’t do. It has a tenacious workaholic nature. The dog is affectionate around kids and loves to play with them. It is also an animal friendly dog. The dog has a lustrous jet black coat that enhances its charismatic appeal. They are machines of endless energy, it is important to provide 3 hours of vigorous exercise if the dog is not engaged in herding or any other job. It is one of the oldest dogs in existence. The dog was companion of Sami people of Lapland (Sweden) who used this dog in multipurpose activities especially for herding reindeer. 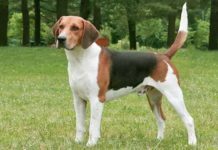 This breed is also the first dog that is recognized by Swedish kennel club. Today it is the national dog of Sweden. Like other spitz type dog, this breed will have a dense coat and characteristically curved tail. Earlier Finnish laphund and Sweden laphund were considered as same breed but it got separated in the year 1903. The dog is kid as well as animal friendly. The dog has a typical spitz type breed appearance. It is a medium sized dog with a thick double coat. It has a sturdily built up compact body with a waving tail which gets curled over its back. Its head is wedged shape with well-developed pointed muzzle. It has small triangular ears which should be set atop its head. Its back is muscular and even. Its eyes should be almond shape and expressive to look. Average height of female should be 40–46 cm and male should be 45–51 cm tall. Both the genders should weigh approximately 9–21 kg. The dog has a weather resistant double coat. Its coat should be dense and straight. Top coat should be harsh while the undercoat should be frizzy and fine in texture. Long hair is found in neck, tail and thighs. Usually the dog comes in jet black color. Other colors like brown and liver is also acceptable. Personality – The dog has an outgoing and lively personality. It is high spirited and always eager to work. Work provides solace to the dog. It is important to have a garden or backyard where the dog can play and romp. With strangers they are aloof without being yappy. Being a herding dog, the dog barks a lot. It is alert and attentive and makes excellent watchdog. They are kids friendly and will be patient around them. They are also kind to other animals. The dog forms strong bonds with family members and will actively participate in every family activities. Behavior – The dog is a human pleasure and devoted family companion. The dog is protective of its family and will not allow intrude to invade property. The dog develops separation anxiety when it is left alone for too long and is not given enough love and care. Give this dog, your time and it will give its life in protection of you. Activities requirement – A highly energetic dog. If you are living in urban area it is important to provide at least three hours of vigorous exercise to the dog. You need to exhaust it mentally as well as physically. The dog loves agility related exercise and dog’s sports like fly disc and catching the ball. It can be your perfect traveling partner, adventure tour partner, running partner and hiking partner. Training – It is moderately easy to train. Consistent and firm hand is required in training the dog. As the dog is human pleasure so it learns the trick fast to impress its owner. Never be harsh on your dog else that can cause negative impact on its behavior. Dogs have a simple digestive system that is meant to process raw meat and fat. This means it should not be given food rich in carbohydrates and “human food”. Raw diet which contains bones and meat, fish, lamb, beef is suitable for the dogs to eat. You can give vegetables to your dog but make sure it is fully cooked because their digestive glands simply cannot break walls of carbohydrates. The dog can live up to 10 to 13 years. It is not a hypoallergenic dog which means people who have asthma or allergy should not domesticate this dog. They are immune to many health problems. Few of the health concerns are- hip dysplasia, progressive retinal atrophy, dry skin, dermatitis, diabetes, ears related problems and epilepsy. The dog has a weather as well as dirt resistant coat. They shed heavily so it is important to brush its coat regularly to keep the dead hairs in control. Trim its nails after every few weeks if it doesn’t get withered off. It is important to check its ears on monthly basis and clean it with pH balanced ear solution. Brush its teeth with vet approved toothpaste to maintain overall dental health. Start the grooming regime of your dog at an early age so that it can get habitual of it. It is not necessary to bath the dog as it doesn’t contain doggie’s odor. The dog is suitable to live in country side where it can live freely. Being a spitz breed it prefers cold temperature areas. They love kids and are cheerful around them.